Fractional laser skin resurfacing is a relatively new method that is used to treat a number of skin conditions with minimal downtime. One of the premier fractional lasers is the Palomar Icon 1540, a non-ablative erbium laser that is part of the Palomar Icon Aesthetic System. This laser delivers light to the skin through an array of high precision microbeams that penetrate the skin deep into the dermis. This creates narrow, deep columns of skin coagulation, surrounded by healthy, untreated skin. This causes the skin to repair itself by replacing old, sun damaged skin with new, younger, healthier skin. Since the Icon 1540 delivers fractionated light, the treatments are safer and produce consistent results. Fractional resurfacing with the Icon 1540 is much less invasive compared to ablative laser procedures, resulting in a faster recovery time. Most patients experience minimal downtime, with some mild redness and swelling for a couple of days. 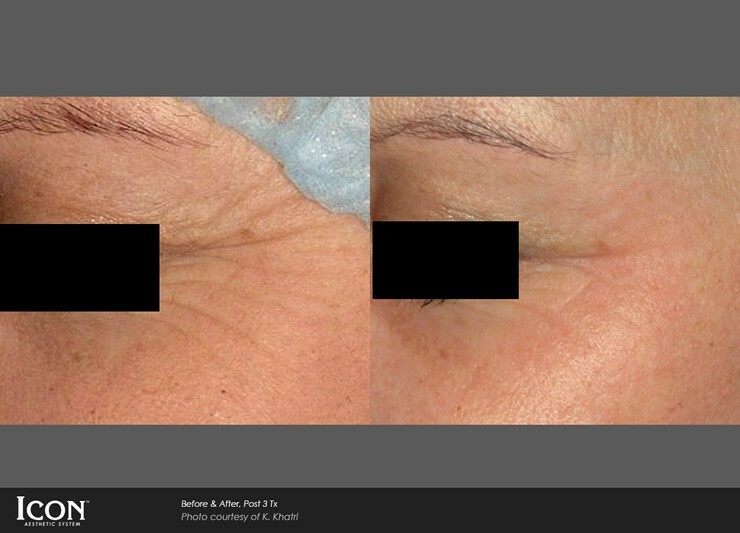 Since these treatments are fractionated and less invasive, generally 3 – 5 sessions are recommended for full results. These are performed every 2 – 6 weeks. 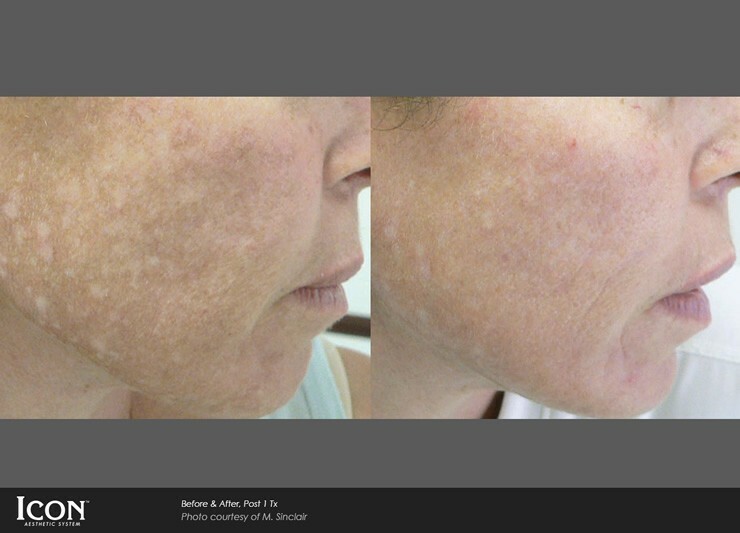 Fractional skin resurfacing with the 1540 nm erbium laser is also much safer and avoids the side effects and complications that are associated with non-fractionated lasers. 1. 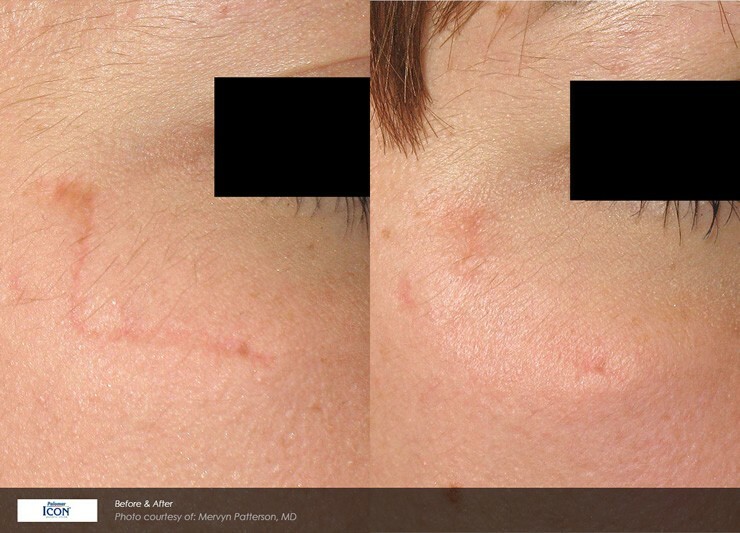 Acne Scarring: There are many treatment options for acne scarring; however depressed, acne scarring is best treated with lasers. 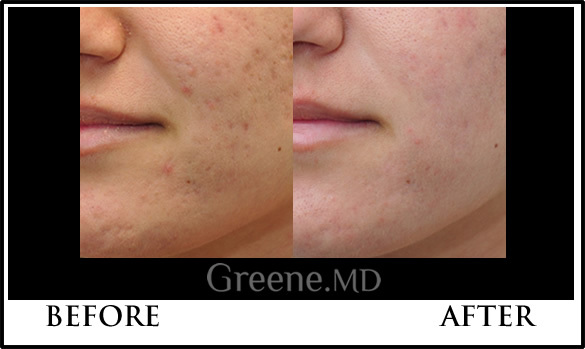 Click here to learn about acne scarring treatments. 2. Surgical or Traumatic Scars: This laser can improve scars from prior cosmetic surgeries, C-section scars, orthopedic or general surgical scars, traumatic scars, or burns. 3. 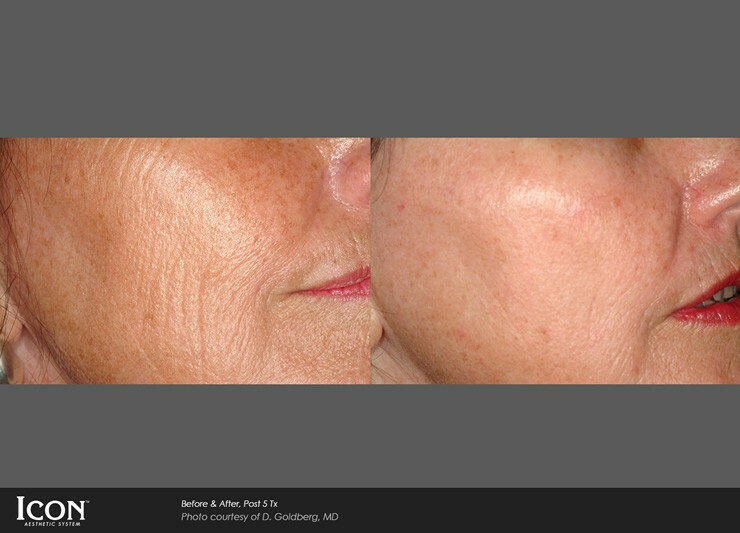 Skin Resurfacing: Improve skin texture, tone, and other irregularities of the skin. 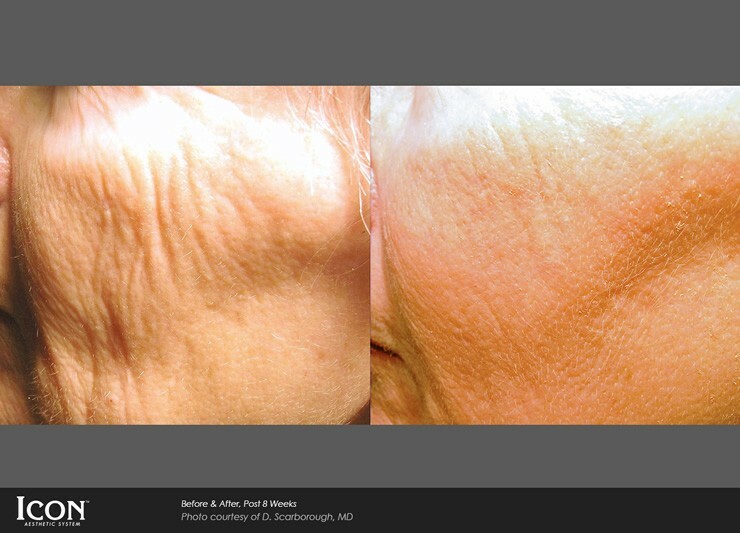 Reverse signs of aging, such as fine lines, wrinkles, and sun damage. Experience brighter, tighter, and smoother skin. 4. 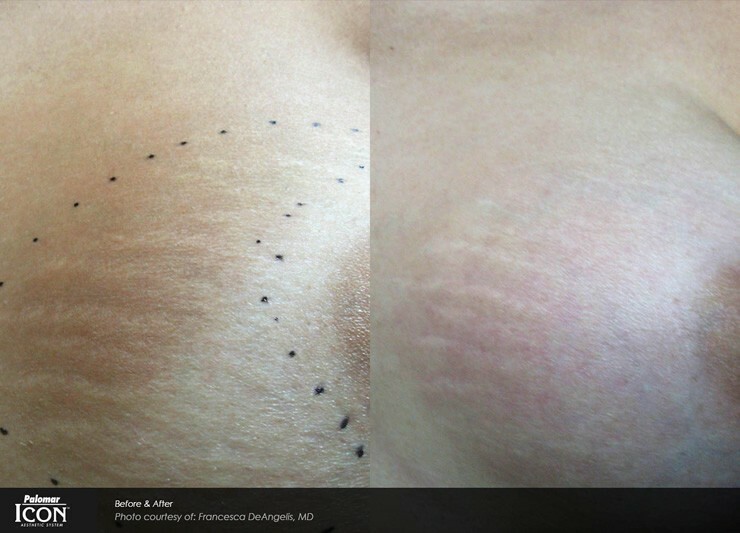 Stretch Marks: This can help the appearance of stretch marks due to pregnancy, growth spurts, or fluctuations in weight. 5. Melasma: Melasma is a skin condition that causes patchy brown discoloration of the face that can be caused by medications, hormones, pregnancy, or direct sunlight. While many ‘laser clinics’ and ‘medspas’ offer a number of laser treatments, experience and a physician’s supervision are often lacking. A patient should not underestimate the importance of being treated at a physician’s office when it comes to their laser treatments. Lasers and light-based devices can lead to serious complications if not used properly. At GreeneMD, All fractional non-ablative laser treatments are performed by our Certified Physician Assistant, Holly Rafferty. If you are interested in improving the quality of sun damaged skin, scars, or stretch marks, contact us at 954-651-6600 to set up a consultation and learn more about our fractional laser treatments. Under the direction of laser specialist Ryan Greene, MD, PhD, FACS, our plastic surgery practice is committed to providing quality patient care while helping patients reach all of their aesthetic goals. WHAT IS THE PALOMAR ICON 1540? The Palomar ICON 1540 is a non-ablative Erbium laser that operates in the 1540nm wavelength spectrum. 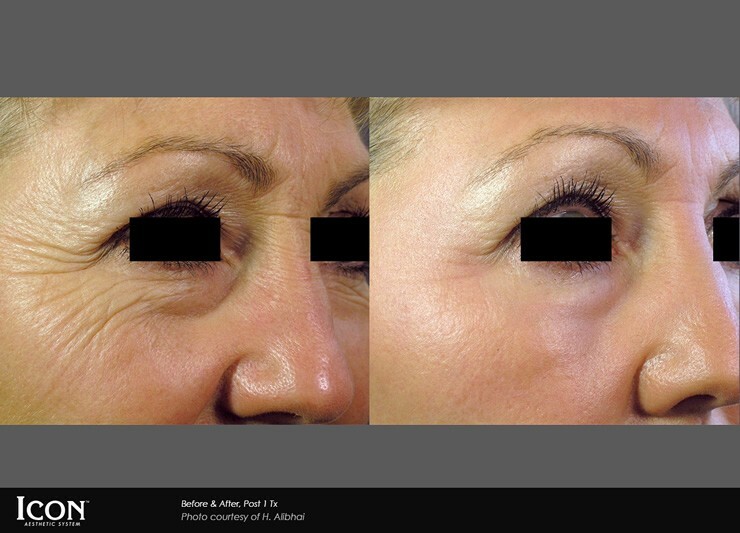 WHAT IS THE DIFFERENCE BETWEEN AN ABLATIVE AND A NON-ABLATIVE LASER TREATMENT? Skin laser treatments can be divided into ‘full field’ and ‘fractionated.’ Full field lasers deliver a laser beam as a coherent column that treats the entire area of skin that it reaches. 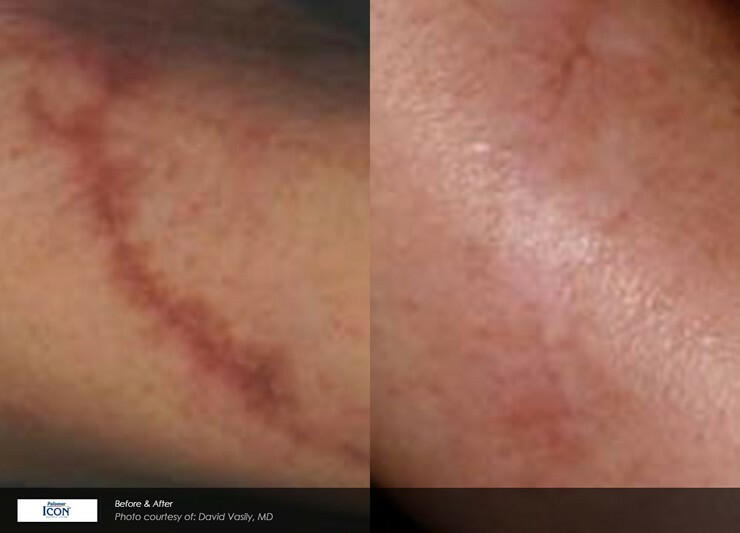 This type of laser is associated with numerous side effects and a long healing period. 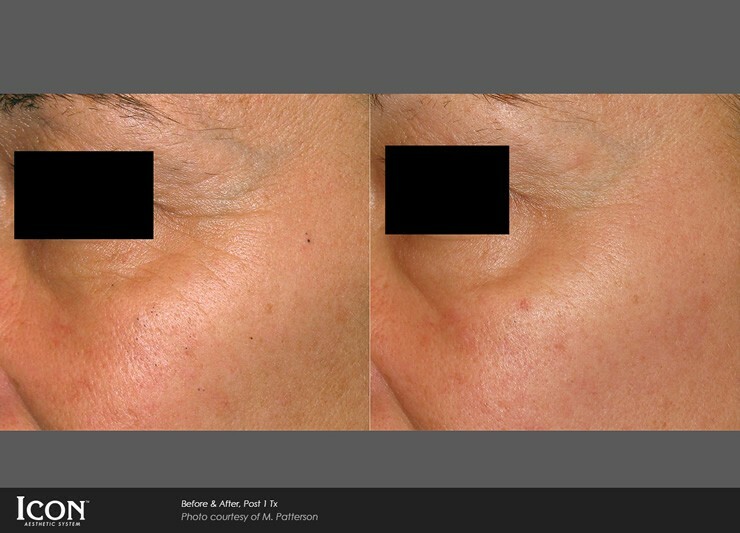 Fractionated lasers treat the skin with a laser beam that is comprised of many columns of micro-beams that are all separated by gaps. Thus, only a fraction of the skin is treated, with gaps of untreated skin throughout; this enables the skin to heal much faster with less risk of complications. Fractionated lasers can be either ablative or non-ablative (depending on the type of laser, such as a CO2 or an Erbium:glass). 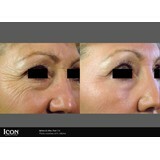 The ICON 1540 laser is a fractionated non-ablative laser. 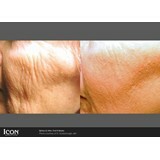 The ICON 1540 laser delivers heat to the deeper layers of the skin. This initiates the body’s natural healing process to promote new collagen and elastin production. This new collagen and elastin helps to improve the skin tone and texture, while also helping to re-volumize the skin. WHAT IS THE BENEFIT OF THE ICON 1540 LASER, AND WHAT IS IT USED FOR? By increasing the production of collagen and elastin in the skin, the ICON 1540 can increase the volume of the skin, improve the skin’s texture and tone, and decrease wrinkles and fine lines. The following conditions can be treated with the ICON 1540: sun damage (wrinkles, crow’s feet, and aging skin), acne scars, surgical or traumatic scars, melasma, skin texture and tone issues, stretch marks, and other skin irregularities. 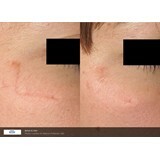 Because it is a non-ablative laser, healing time is minimal. WHAT ARE THE BENEFITS OF THE ICON 1540 OVER OTHER FRACTIONATED LASERS? The ICON 1540 is more powerful than other lasers of its kind, delivering greater energy per micro-beam (up to 100 mJ) and a greater depth of penetration (up to 1 mm) than other competing devices. This can promote a more significant response in the skin, with more effective and longer lasting results. 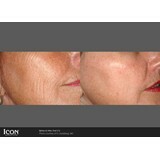 The ICON 1540 treatments are more effective if performed in a series of sessions. 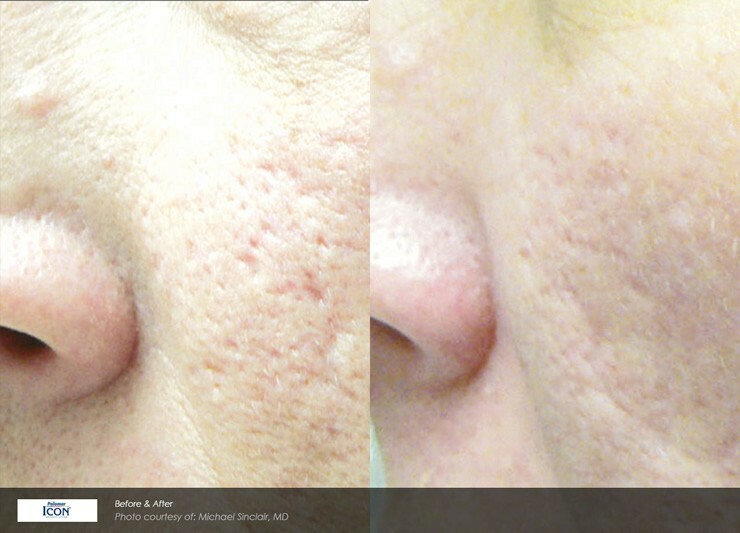 Each session treats approximately 20 – 25 % of the skin. Clinical studies indicate that an effective treatment regimen involves 3 to 5 treatments, spaced 2 to 4 weeks apart. Certain conditions, such as severe acne scarring, may require more treatments for optimal results. HOW ARE THE ICON 1540 TREATMENTS PERFORMED? ARE THE ICON 1540 TREATMENTS PAINFUL? WHAT SHOULD PATIENTS EXPECT AFTER ICON 1540 TREATMENT? WHAT AREAS OF THE FACE AND BODY CAN THE ICON 1540 BE USED ON? The ICON 1540 can be used on scars and stretch marks anywhere on the face or body. However, when used to address fine lines and skin texture, the best results are seen when used on the face. CAN ICON 1540 BE USED TO TREAT DARKER SKIN? 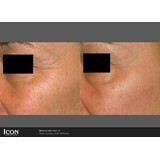 Due to the 1540 nm wavelength of the laser, the ICON 1540 can be used to safely treat patients with darker skin. CAN THE ICON 1540 BE USED TO TREAT SCARS? 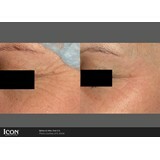 The ICON 1540 is an excellent treatment option for surgical scars, acne scars, and stretch marks. 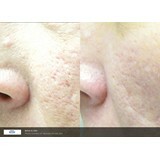 Since the laser induces the production of new collagen, it can be used to plump the skin and resurface depressed scars. WHAT KIND OF ACNE SCARS CAN THE ICON 1540 BE USED ON? The ICON 1540 works best for shallower acne scars, such as rolling scars. It works by heating the deeper layers of the skin in order to promote the growth of new collagen in the dermis. 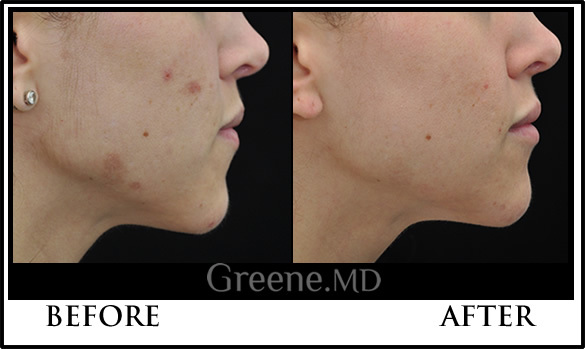 With deeper acne scars, ablative fractionated laser resurfacing may be a better option. 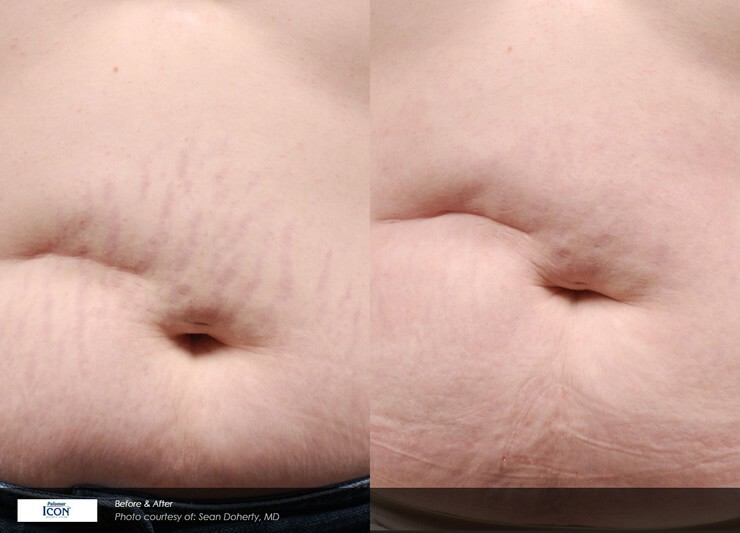 CAN THE ICON 1540 BE USED TO TREAT STRETCH MARKS? In February 2010, the Palomar ICON 1540 (now called the ICON 1540) non-ablative fractional laser handpiece received the first clearance by the U.S. FDA for the treatment of striae (stretch marks) using a fractional laser. 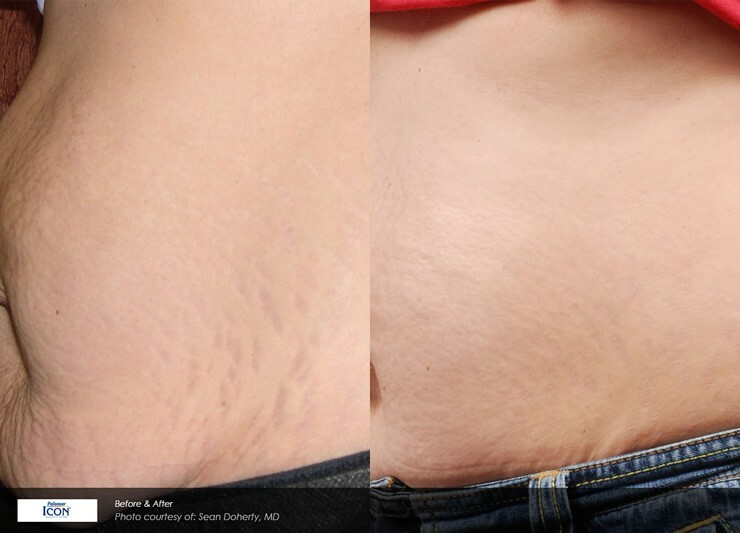 Stretch marks are extremely common, found in 90% of pregnant women and 70% of adolescent females. 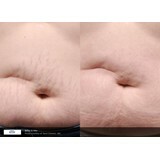 The ICON 1540 treats stretch marks by causing collagen shrinkage and tightening the skin. 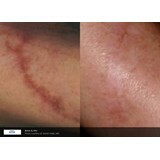 Typically 5 – 6 treatments are recommended for stretch mark improvement.